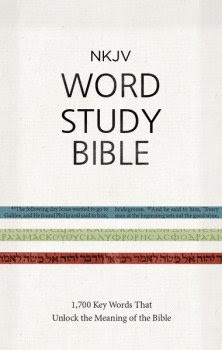 Today I am reviewing the NKJV Word Study Bible by Thomas Nelson Publishers. Often, people can get confused by the translation of the Bible. Different versions use different words or translate the original in different ways, so a Bible like this is really helpful when it comes to Bible comprehension. First of all, let's talk about the features. This Bible includes, in additional to the full NKJV text, almost 2,000 translation word studies, book introductions, translator's footnotes, and maps. Next, looks. This is a big hardcover Bible. The dust jacket and they physical cover look the same, and the physical cover is smooth and shiny (a guilty pleasure of mine). It is of very good quality, and Thomas Nelson Bibles all also come with a lifetime guarantee. I really like what I've seen of this Bible (I obviously didn't sit down and read the whole thing), and I'm looking forward to learning more from it. It's a little bit late, but I wanted to show you guys my October TBR- all of the books that I hope to read this month. I can already see that it's a bit ambitious and I probably won't read them all, but I'll leave them in anyways and get to as many as I can. For October, I picked a variety of spooky/scary books. 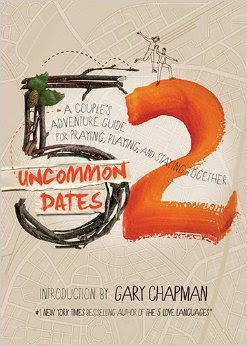 52 Uncommon Dates by Randy Southern is a guide for couples who are looking to spice up their normal routine and learn more about each other, growing closer to each other and closer to God. Southern stresses that dating should not stop at marriage, and that continuing a fun and loving relationship takes work. Each date is prefaced by a Bible verse and a quote by Gary Chapman, author of The 5 Love Languages, that relates to the date. Some dates were really cute and sounded fun, others were not so much my thing. That was the nice thing about this book: there were dates for everyone. A pretty big number of the dates seemed awkward and unrealistic, but some people might be into those. Needless to say, all of the dates are incredibly cheesy.